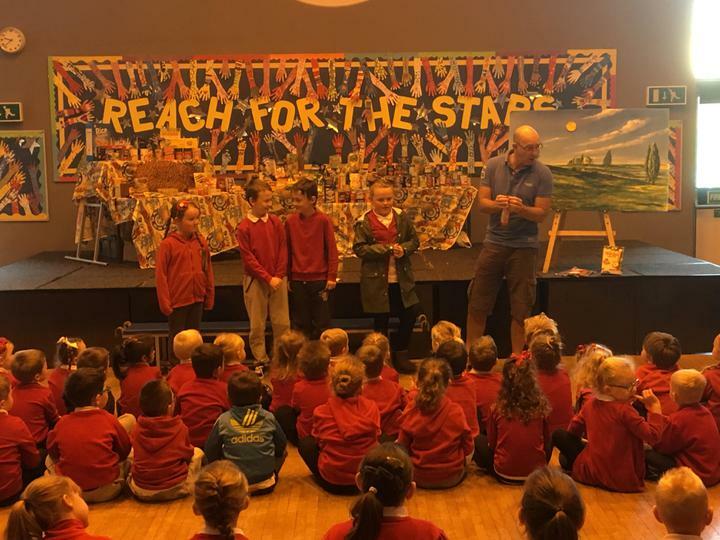 On Tuesday 18th October Pastor Rob Davies from Elim Chapel in Dowlais was in school to lead our special Harvest Assembly. 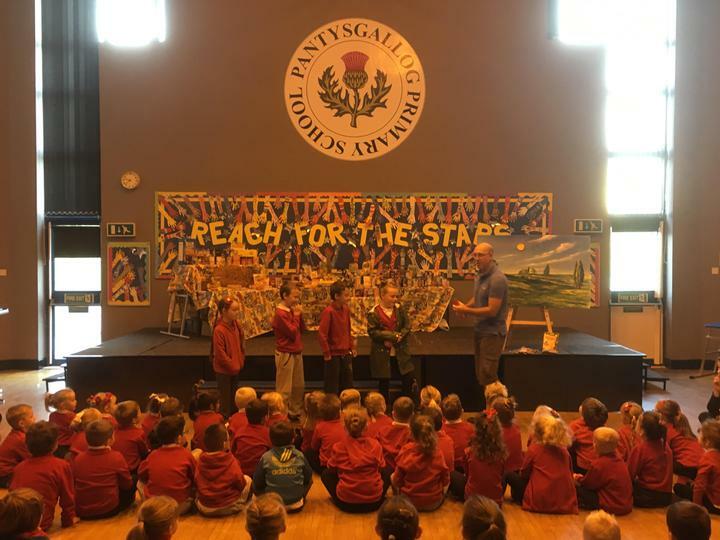 Pastor Rob visits school every Tuesday to work with pupils and lead weekly acts of collective worship but today was a little special. Rob helped us celebrate Harvest and give thanks for the food we have to eat. 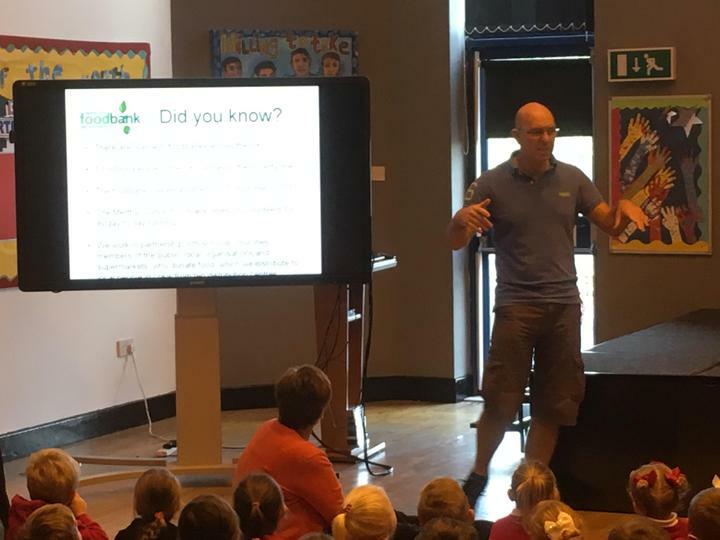 Pastor Rob also explained to the pupils how food banks were created and how the banks support vulnerable families within our area. 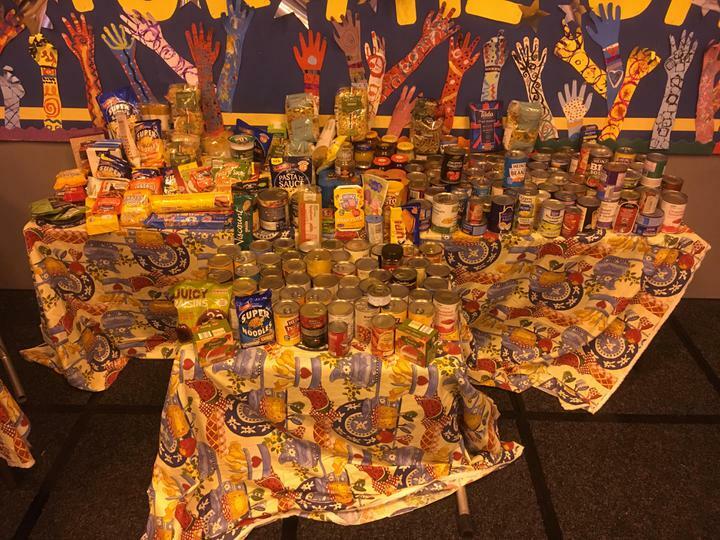 On display in the assembly were many items of food donated by pupils and parents for our Food Bank collection. 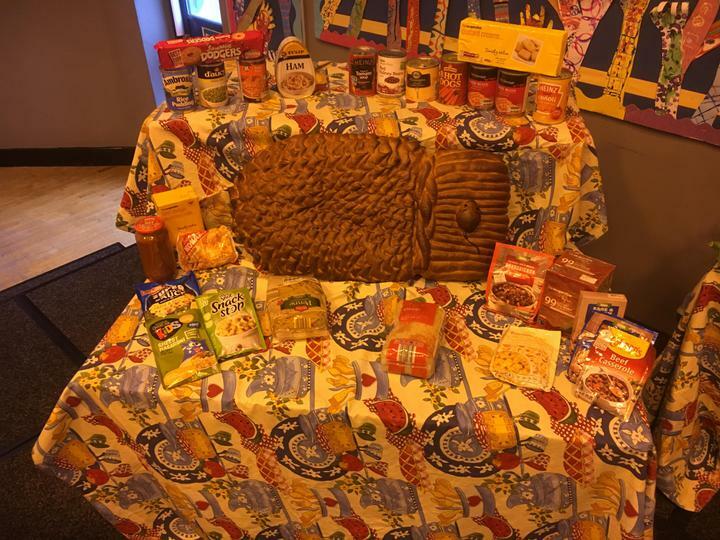 Amongst the donated items was a splendid Harvest loaf donated by Oliver Williams in Year 3. The loaf has become a school tradition over the last few years. 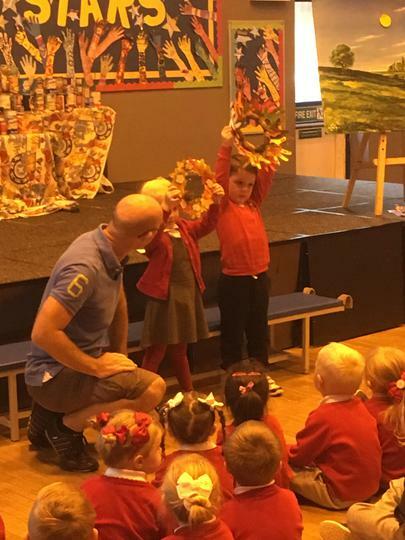 It is cut up and shared out amongst the pupils as part of the Harvest celebrations.